This book has such a sweet and interesting story. Fans of teen romance would love this book. 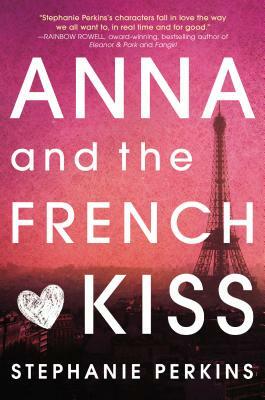 It takes you to a French boarding school with Anna and her friends. It is a light and enjoyable read that I would recommend it to any YA fan. Anna is looking forward to her senior year in Atlanta, where she has a great job, a loyal best friend, and a crush on the verge of becoming more. Which is why she is less than thrilled about being shipped off to boarding school in Paris - until she meets Etienne St. Clair: perfect, Parisian (and English and American, which makes for a swoon-worthy accent), and utterly irresistible. The only problem is that he's taken, and Anna might be, too, if anything comes of her almost-relationship back home. Stephanie Perkins lives in Asheville, North Carolina.